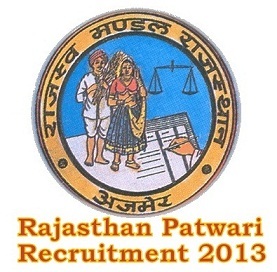 Jaipur District Patwari Exam Result 2013: Rajasthan Revenue Board (www.bor.rajasthan.gov.in), Ajmer Rajasthan has declared the Results of Patwari Examination 2013 held on 29th June 2013 for 2271 post in rajasthan at different centers in Rajasthan. 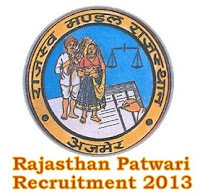 Patwari Exam 2013 Candidates are looking for Results which started declaring results on 10th September 2013, with Jaipur as first district to declare results. The result is declared by the concern district on various websites and we will also provide direct link to Results of Rajasthan Patwari Exam Result 2013 with District Wise for all districts of Rajasthan. The selected candidates will be sent for Training for 9 months.